The farsi legend reads: �hast az jaan gholam-e shah Safi�. With mint and date inside a circle. The usual Shi�a legend. Please notice a tree like symbol inside the "lam" of rasul. 24 mm. Lareg flan for this ruler's coins. �Saam Mirza� was the grandson of Abbas I whose father Safi Mirza was killed on the order of Abbas I. Shah Abbas in his will left his throne to his grandson who decided to call himself Shah Safi in honor of his father. 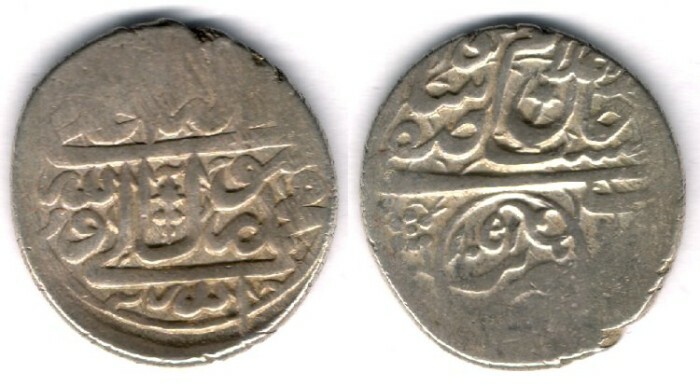 The obverse of this coin is a reference to his popular father. He was only 17 when he started his reign.